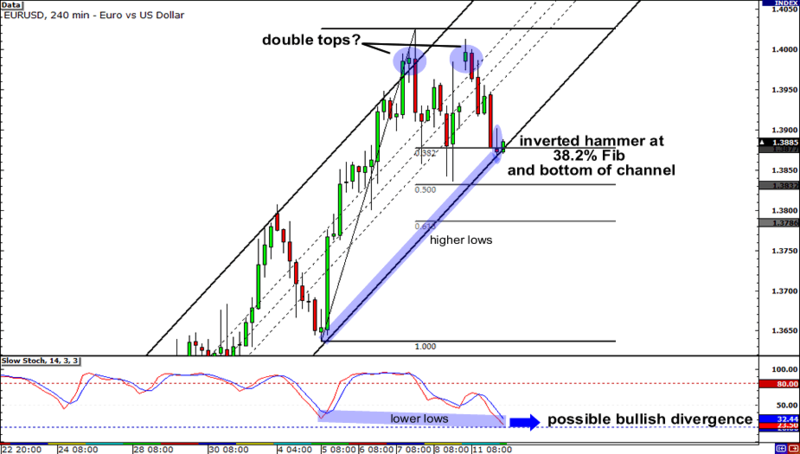 Whatup playa – is that another set of double top I see on GBP/USD? Looking at the daily chart, it sure does! The pair appears to have found some resistance at the 1.6000 handle, as it can’t seem to close above it. 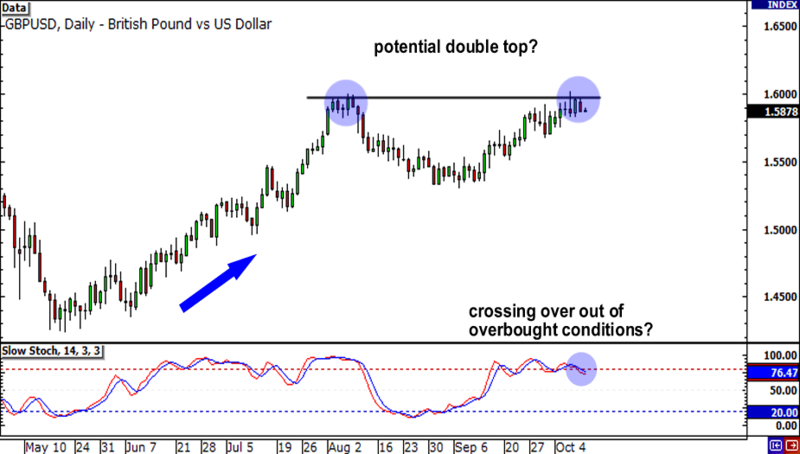 With stochastic just crossing over out of overbought conditions, we might see sellers bust a cap on all them buyers! If we see another bearish red candle, we may see the pair test former lows at 1.5350. On the other hand, if we see a solid candle close above 1.6000, it might be a sign that buying pressure is still strong and that this pair could be headed for former highs around 1.6440. 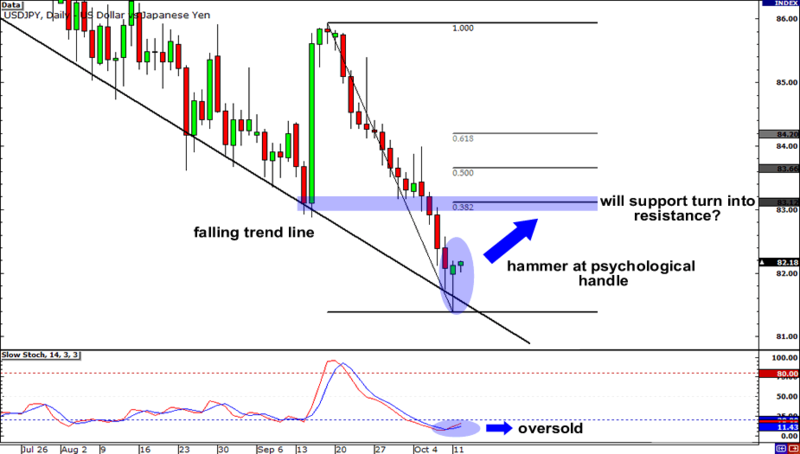 Lastly, check out the 411 on the daily chart of USD/JPY y’all! My, that hammer at the 82.00 handle is siiizzlin’! It looks like buyers are in for treat today especially with stochastic being in the oversold turf and the lines having just crossed. But hold up! Putting up some Fibs on the pair, it looks like the pair could meet some resistance at the 83.00 handle where it has previously found support. If it does, USD/JPY could tumble back to 82.00 or even 81.00!